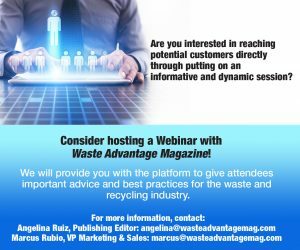 Thank you for your interest in our September 21 Webinar, “Warranty/Maintenance & Technology Best Practices for the Waste Industry”. Synopsis: Maintenance now is more important than ever. What does it really cost when you don’t properly maintain your truck? Do you currently have a preventative maintenance program in place? Listen in as industry experts take you through current maintenance trends, the real consequences of not having a proper maintenance program, diesel vs. CNG and new technologies, the importance of training, evaluating the ROI of warranty programs, as well as short vs. long-term warranties. Hear suggestions as to the best solutions in this dynamic session. Have further questions you would like answered about this session or future Webinars? Please type your question in the box below and hit submit and we will be happy to help.